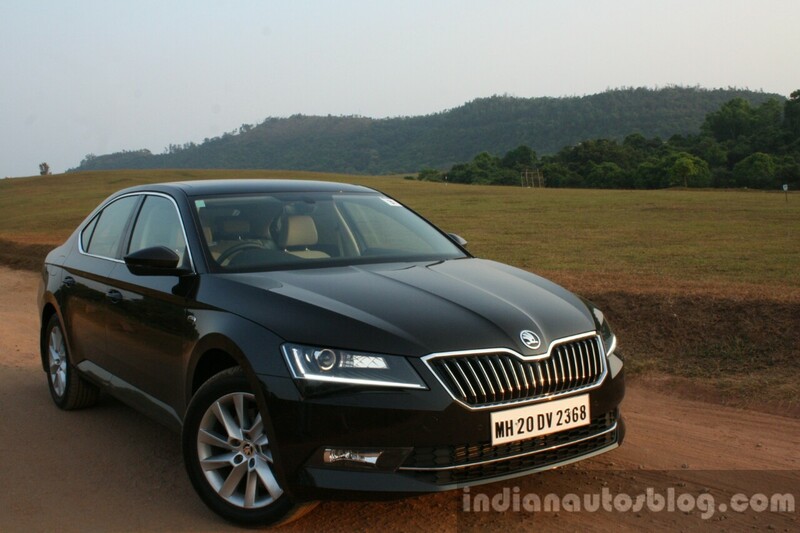 A longer and well-appointed version of the Skoda Octavia. 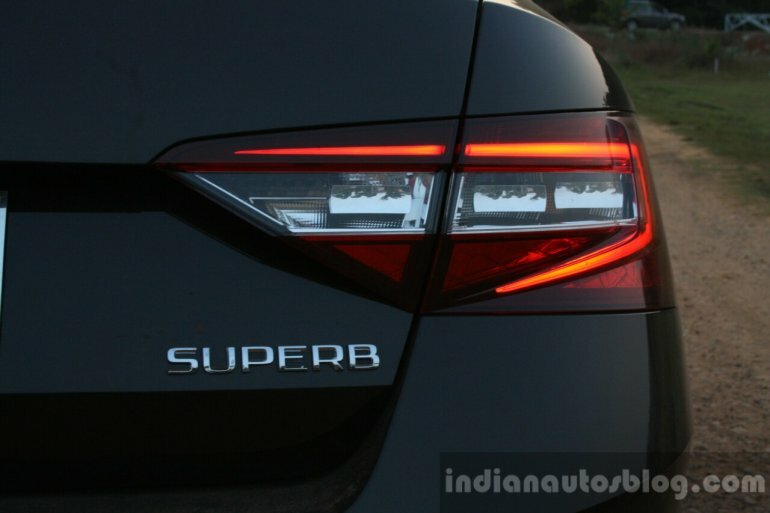 I quite appreciate Skoda's confidence in naming their flagship model as the "Superb", since most vehicles with names synonymous to words such as "excellent" or "fantastic" don't generally live up to it. Full disclosure, I have not driven the previous two iterations of the Skoda Superb, so I can't really say if those two warrant such a name. 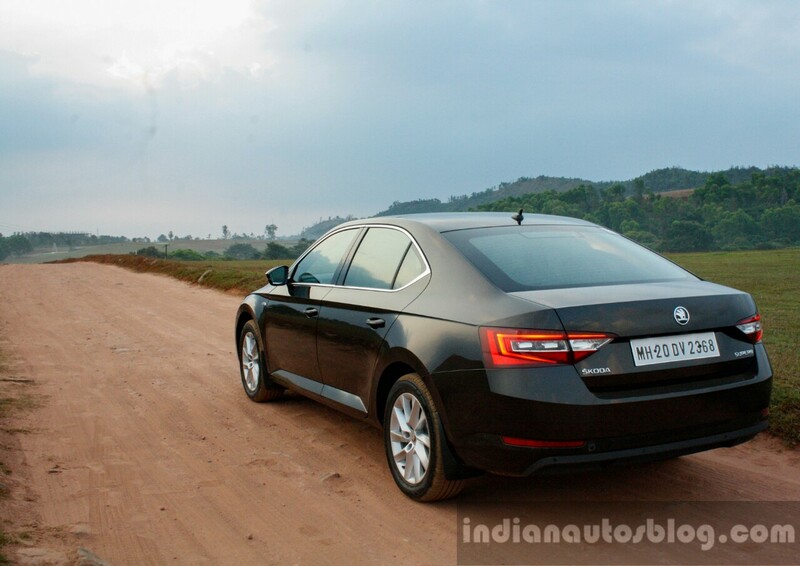 I may not have driven previous generations of the Skoda Superb, but have gotten up close and personal in the past. 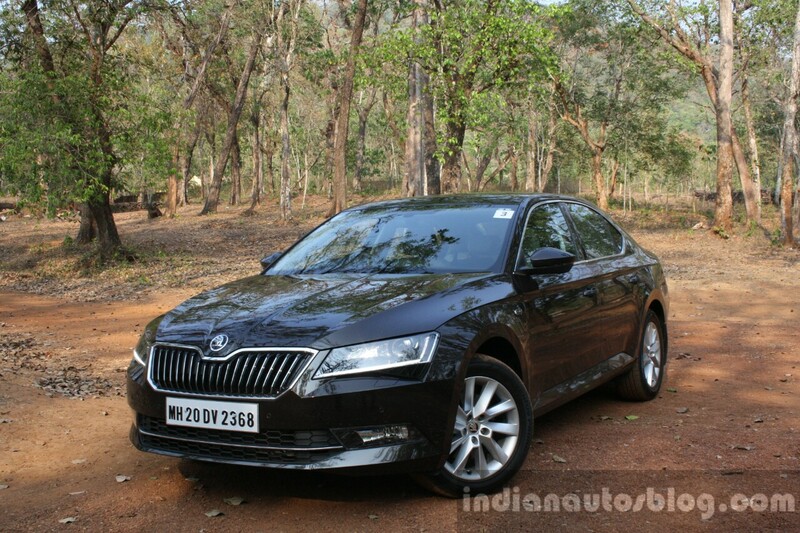 And I can gladly say that the exterior of the latest Superb takes it up a notch with a more elegant and refined design. Unlike the previous model, the exterior imparts the impression of an expensive price tag, although it's not as costly as you'd think. Unlike the previous model, the design imparts the impression of an expensive price tag. 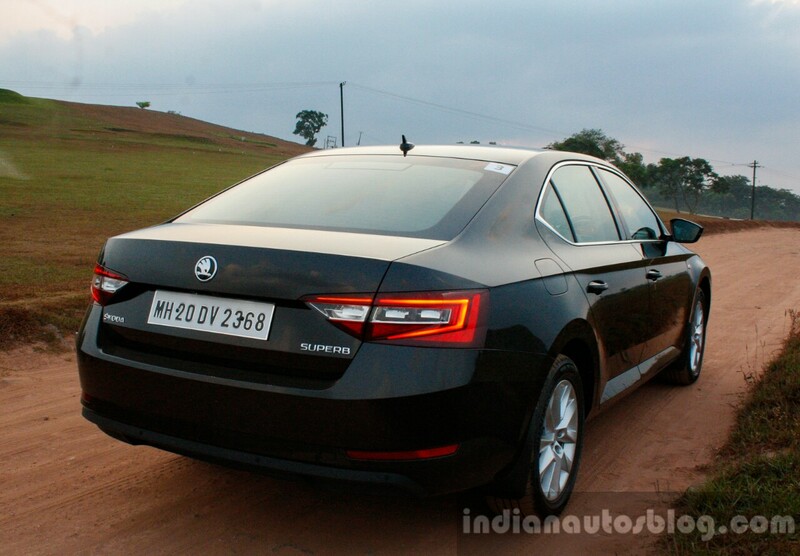 From a quick glance, it's easy to guess that it shares design cues with the Skoda Octavia. 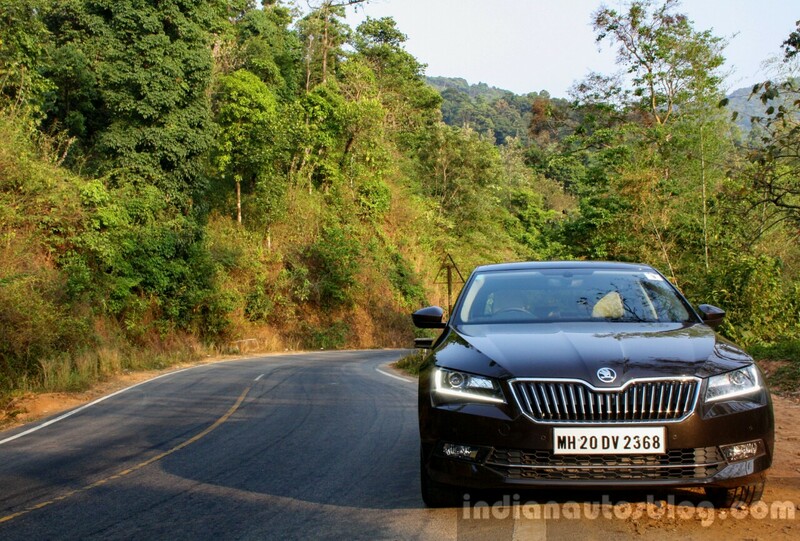 Both are influenced by Skoda's latest design language that was previewed by the Skoda VisionC concept, with the Superb bearing more similarities to the concept car. The angular design lines culminate to a sharp exterior design that can turn heads, and it has a road presence comparable to luxury German sedans. The angular design lines culminate to a sharp exterior design that can turn heads. The variant that we tested was the Superb Laurin & Klement edition, which differs from the regular "Style" grade with multi-spoke 17 inch rims and a "Laurin & Klement" badge on the front wing. Thankfully, the new Superb doesn't go overboard with chrome embellishments. In fact, the only chrome elements in the rear-end are the small badges and nameplate. The only chrome elements in the rear-end are the small badges and nameplate, keeping it simple. The exterior comes equipped with Bi-Xenon headlamps with LED DRLs, angular foglamps, stylized ORVMs with mounted indicators, sleeker LED taillamps and a shark fin antenna. However, a feature that would've further complemented the strong design is a set of exposed tailpipes finished in chrome, which is otherwise hidden behind the bumper. To summarize the design, it's basically the interior of the Skoda Octavia, but made bigger, adorned with better materials and available with a slightly longer feature list. 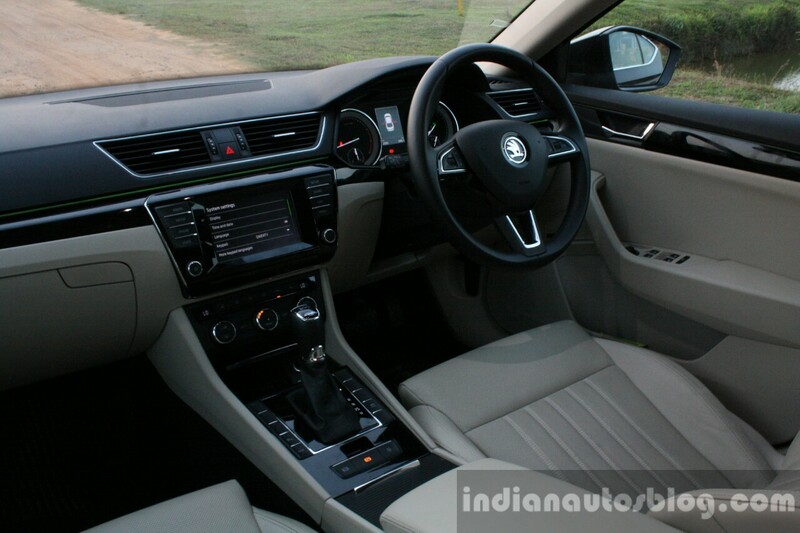 The minimal distinction is, however, easily overlooked when you step inside and get acquainted, as the new Skoda Superb has one of the best interiors in a vehicle for under INR 30 Lakhs. The Superb's interior is very similar to that of the Skoda Octavia, but made bigger, adorned with better materials and available with a slightly longer feature list. There's a delightful mix of leather and piano black trim all over the cabin, while chrome accents have been kept to a minimum. The choice of materials collectively highlight its premium quotient and strike a balance between simplicity and luxury. 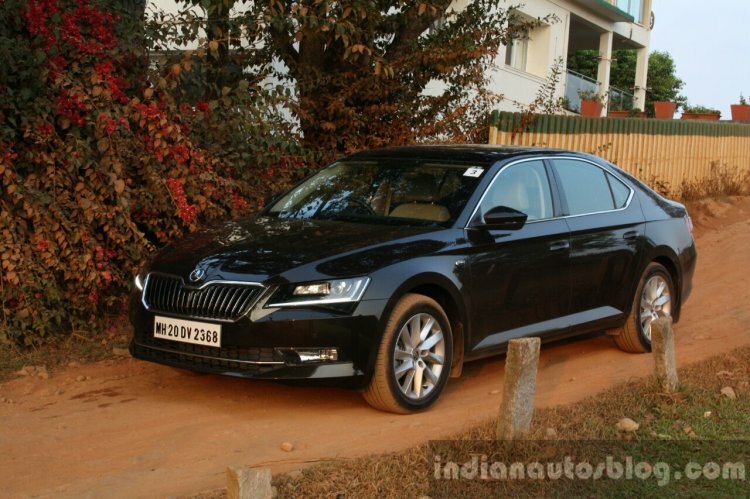 As for build quality, it definitely meets expectations that one would have from a luxury sedan developed by this brand. It's hard to find faults with the robustness and feel-good factor of the materials used in the Superb. Build quality meets the expectations that one would have from a luxury sedan developed by Germans. One of the Superb's strong points is rear seat spacing, which is very impressive. Even with a sizable person sitting in the front, there's still plenty of space to stretch around. Further supplementing the cosseting rear seat experience are the supremely comfortable perforated leather seats, tri-zone climate control, small velcro footrests and separate power-operated "boss button" front seat controls for the left rear passenger. Even with a sizable person sitting in the front, there's still plenty of space to stretch around. 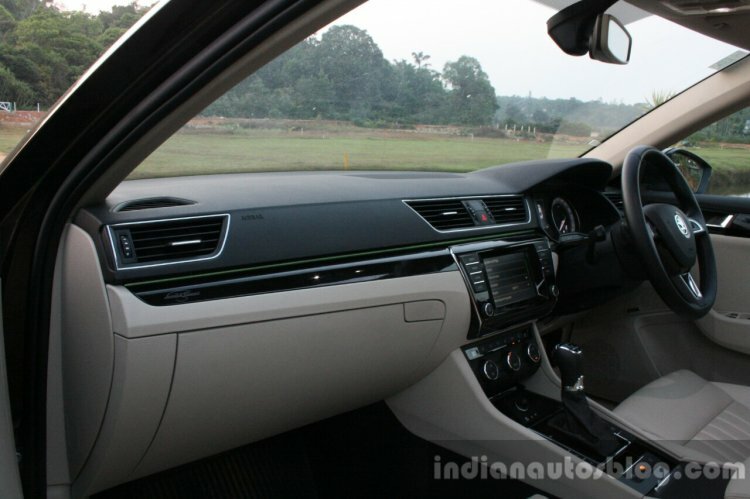 Inside, the new Superb comes equipped with a suite of creature comforts such as a rather small 6.5 inch infotainment display with Apple Carplay/Android Auto/Mirrorlink support, ambient lighting, large sunroof, start/stop button and automatic headlamps. The ambient lighting is available in three colors: green, blue or warm white. The L&K edition adds a 12 speaker Canton sound system, power adjustable seats for driver and passenger, and an intuitive MID. 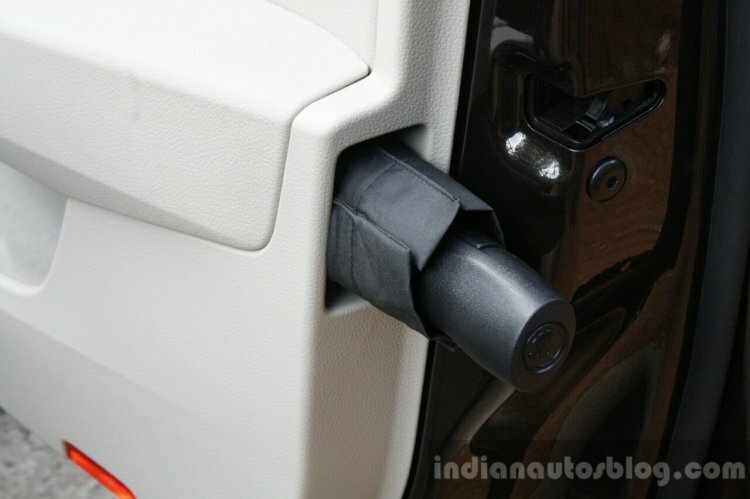 While the previous model had only one umbrella, the new Superb comes with two small umbrellas slotted inside each pocket located in the driver and front passenger doors. While the previous model had only one umbrella, the new Superb comes with two small umbrellas. 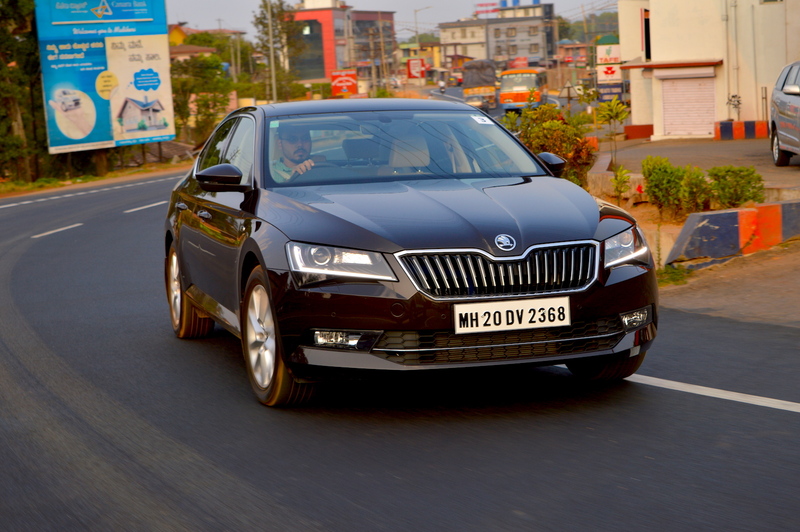 Since our time with the new Superb was short, we couldn't go into detail on the plethora of features equipped in the L&K grade. Our test car had the 1.8-liter four cylinder TSI petrol engine that outputs 180 PS between 5100 rpm - 6200 rpm and a limited peak torque of 250 Nm between 1500 rpm - 5000 rpm. It is paired to a 7-speed dual clutch DSG automatic gearbox that sends power to the front wheels. 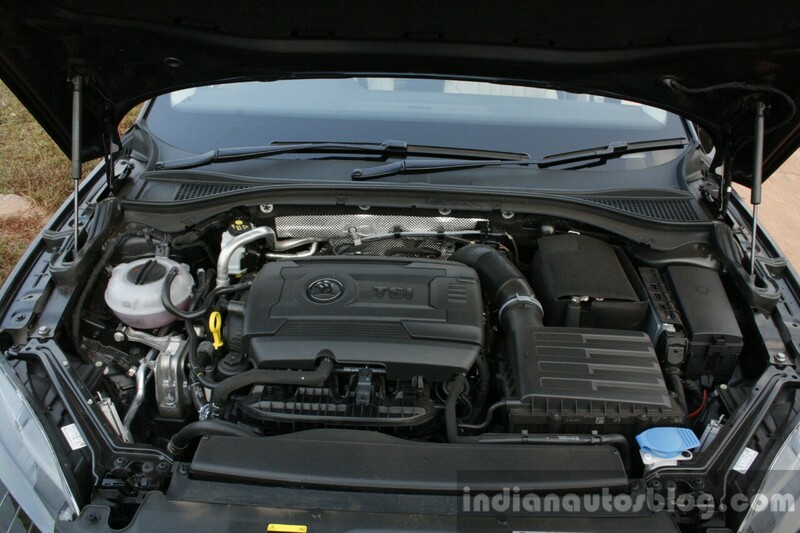 The test car had a 1.8-liter four cylinder TSI petrol engine that outputs 180 PS and a limited peak torque of 250 Nm. Initial impressions of the powertrain are highly positive. The 1.8 TSI engine has supreme levels of refinement, and smoothly revs up to the redline, whilst emanating a decent-sounding engine tone. With the foot down, it accelerates the Superb with a linear and quick progression till you reach law-breaking speeds. The engine is always eager to heap torque on the front wheels, should the need to overtake a slow-moving vehicle arise. With the foot down, it accelerates the Superb with a linear yet quick progression. 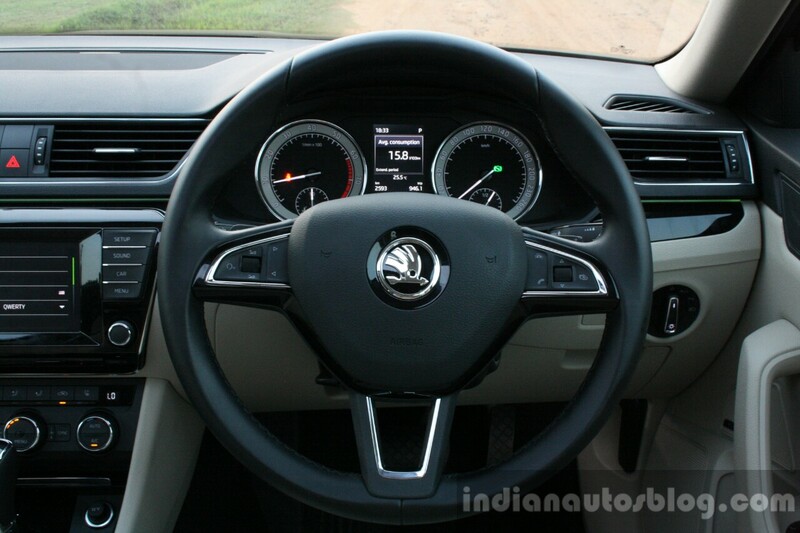 The 7-speed DSG gearbox works brilliantly with the 1.8 TSI engine. It masks whatever little turbo lag the motor has, and is quick to respond when you mash the throttle pedal. Further livening the experience are steering mounted paddles, which swiftly transitions between gears upon the click of a paddle. The DSG masks whatever little turbo lag the motor has, and quickly goes down gears when you mash the throttle pedal. Since the target audience would prefer getting from A to B in a relaxed, less theatrical manner, let me touch upon the powertrain's more peaceful side. When driven with a light foot, the gearbox keeps the engine rpm low while shifting up through the gears, and the comfortable drivability is further supplemented by good NVH and cabin insulation levels. The Skoda Superb's full independent suspension system comprises of a McPherson strut with torsion stabilizer up front and a multi-element axle with transverse links and a torsion stabilizer for the rear wheels. 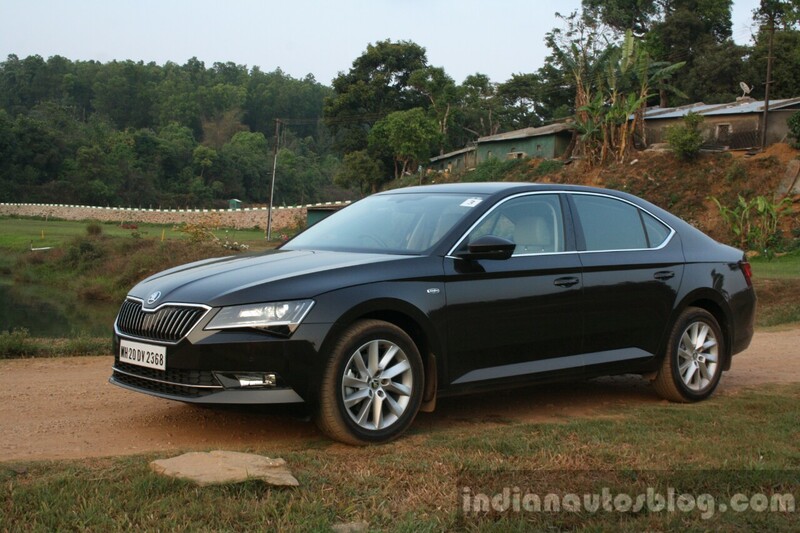 The Skoda Superb has a full independent suspension system comprising of a McPherson strut and a multi-element axle. The suspension has been slightly tuned for Indian road conditions, and it is quite apparent. It's no air suspension-beating system, but comes very close. The Superb's suspension gobbled up small cobblestones and potholes strewn over some parts of the curvy NH275 that we were driving upon. Most of the compact cars had to slow down and negotiate small, multiple speed bumps, while the Superb just ran over them and kept the resulting jerks in bay. 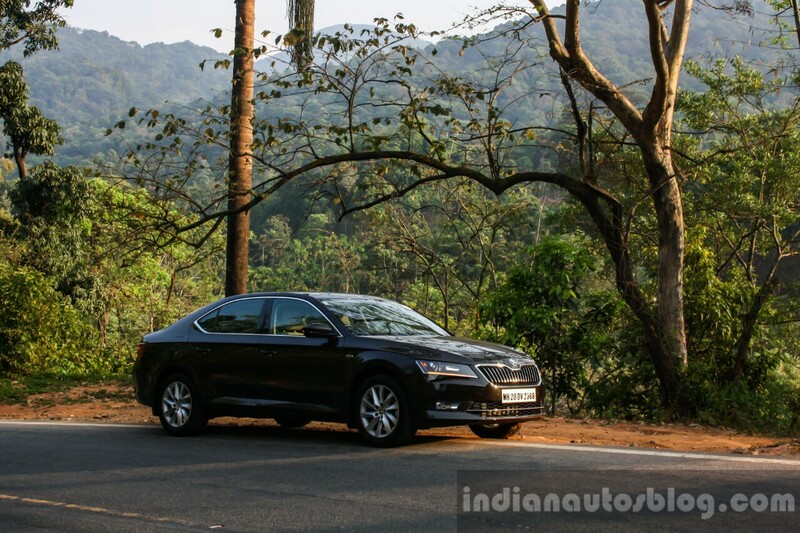 The Superb's suspension easily gobbled up small cobblestones and potholes strewn over Indian roads. Like performance, handling isn't one of the top deciding factors for prospective customers. However, it would be reassuring to know that the Superb exhibits a confident composure around tight corners. Thanks to the benefits of the MQB platform it is based on, the Superb doesn't hesitate turning into corners at good speeds. The grippy Hankook tires, ASR (anti-slip regulation) and EDS (Electronic differential lock) keep the full-size sedan in line and body roll/ heave to a minimum. Thanks to the benefits of the MQB platform it is based on, the Superb doesn't hesitate turning into corners at a good speed. In the Normal Mode, the steering system is light-weighted, which allows for easy maneuverability of the long sedan around town and negotiate the chore of parking. The steering system is light-weighted, which allows for easy maneuverability of the long sedan around town. Setting it into Sports Mode adds a certain amount of weight to offer the feel of an hydraulic steering system around corners and high speed runs. Steering input is precise, although petrolheads would expect a bit more feedback from a car that is competent around corners. Since this is a brief first drive report of the 2016 Skoda Superb, it's hard to pass a definitive verdict on Skoda's newest flagship vehicle without spending more time; to step into the shoes of a prospective customer and see if the new Superb is deserving of a cheque for over INR 30 Lakhs. However, first impressions of the new Superb are on the favorable side. It refines the strong selling points of the previous models, and combines them into a package that is more sophisticated and elegant than any other product we have ever seen from Skoda. 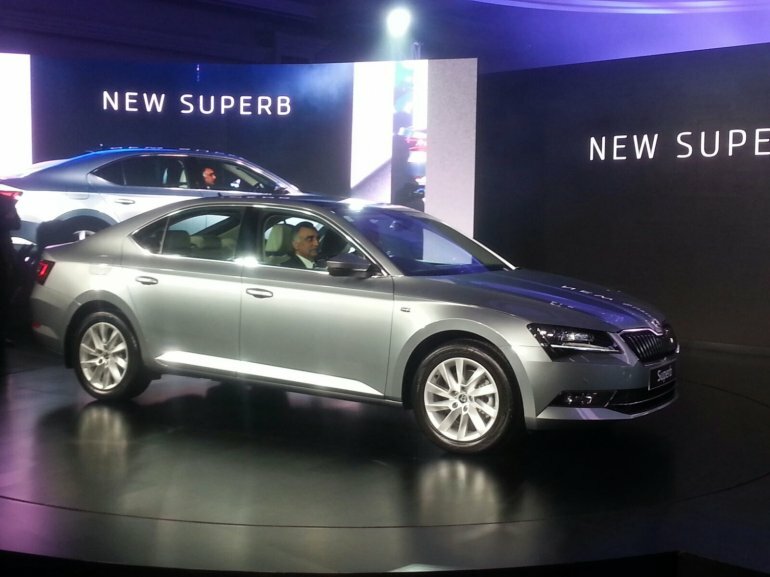 The new Superb refines the strong selling points of the previous models and combines them into a sophisticated package. 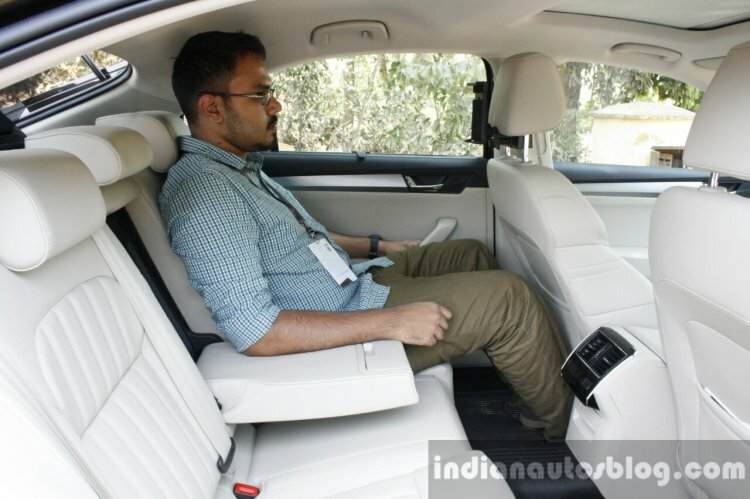 Its competitive pricing will have car buyers contemplating on whether they should trade the stronger brand image of a compact luxury vehicle (Audi A3, Mercedes A-Class) or the sheer road presence and utility of an SUV (Ford Endeavour, Toyota Fortuner) for a full-size luxury sedan with generous interior space, elegant styling and an expansive feature list.